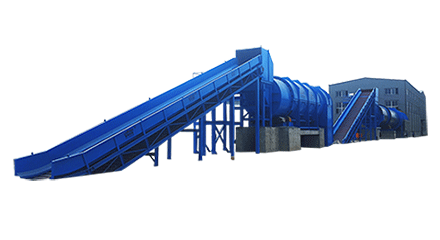 Home / Solutions / Corrugated Paper Making Line / What Is Press Section Structure Of Paper Machine Like? 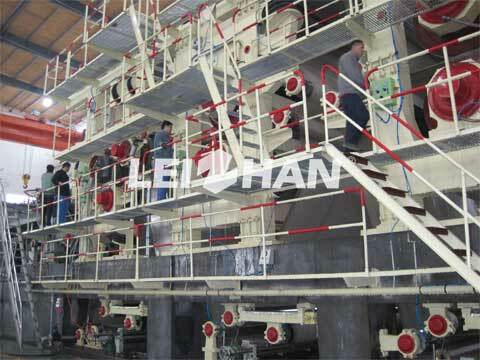 What Is Press Section Structure Of Paper Machine Like? The press section is composed of a press pack of the same or different form, which also includes a vacuum pipetting device; the paper is supported by a cloth of appropriate specifications when pressing, which can evenly pressurize the pressure and take away some of the water squeezed by the press, besides, it can also increase the pressure of the pressurization and improve the dewatering ability of the press. Low speed paper machine adopts line pressure of 20~60 kN/m, high speed paper machine adopts line pressure of up to 210 kN/m, when using high impulse press, such as wet copying machine press can be up to 350 kN/m line pressure; Vacuum pressing roller, groove pressing roller, lining roller, blind hole pressing roller, etc. The closed press is then formed using a double press structure which consists of two or three sets of presses. The wet paper is peeled off from the forming wire by a vacuum suction roll, and fed into the composite press with a felt. then the paper is transferred between the rolls, thereby eliminating the past sheets.